I’m sure we have all heard the phrase “Attitude is everything.” If you think about it our attitudes have more of an impact than the past, an education, money, circumstances, failures and successes and more than what people think, say, or do. It is something that we have control over that can change our lives and our day depending on what we may be facing. 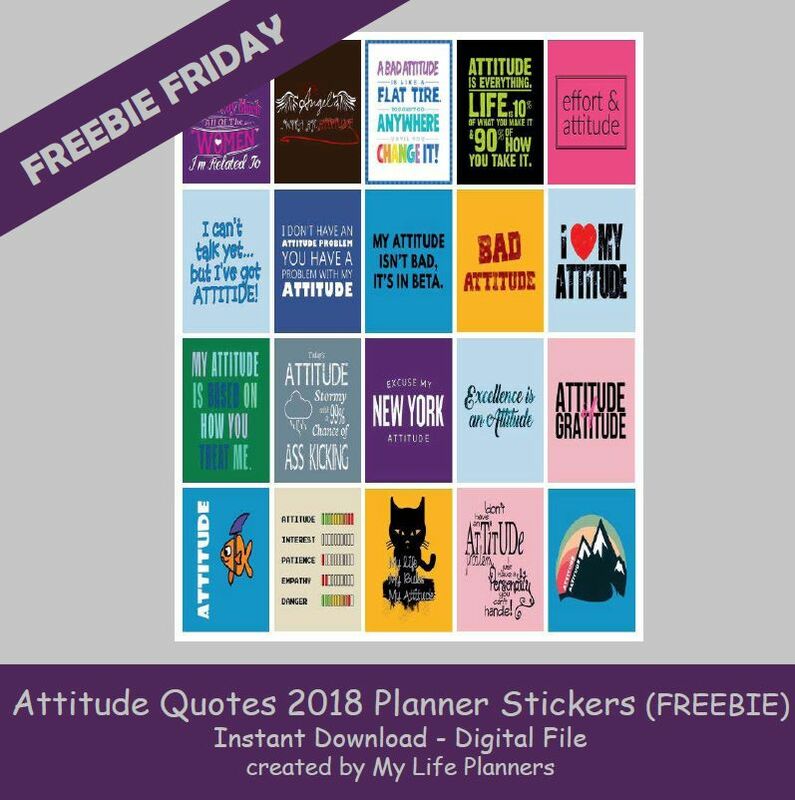 With all this in mind, I felt that sometimes it helps to have a bit of a reminder in our planners to help remember that “attitude is everything.” This week’s Freebie Friday feature is all about Attitude. Add some “TUDE” to your planners. The freebie stickers will fit most planners but are the standard size of Classic Happy Planner at 1.5” x 2.5”. To download the Freebie Friday Planner stickers. Please click here. Please feel free to tag me in your posts when you share with your friends on social media with #mylifeplanners.